Commodities Bubble Or Credit Bubble? 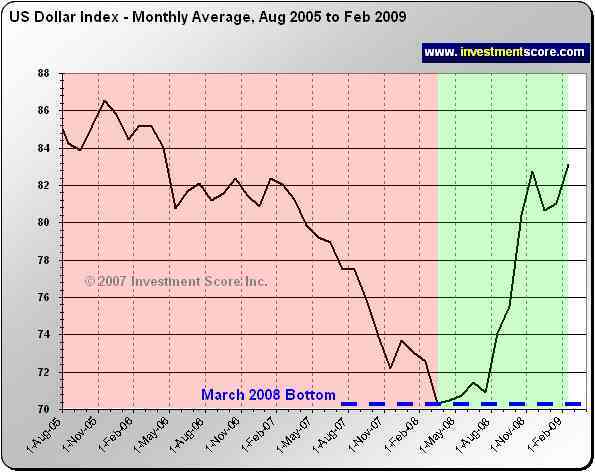 In the spring of 2008 oil tumbled from a high of $148 per barrel to $36 a barrel in December, and the commodities bubble was deemed popped. Gold dropped, silver fell roughly 58% from its high and palladium fell a remarkable 72% etc. 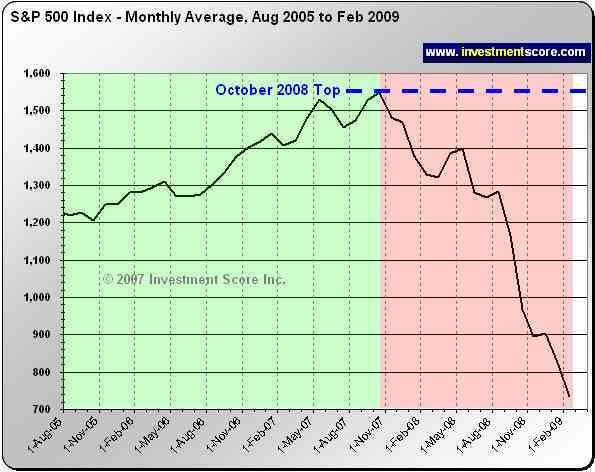 But was this the result of a commodities bubble popping or could it possibly have been a credit bubble burst which happened to dramatically affect the price of commodities? This is important to understand in order for investors to determine where value is for future growth. In 2008 the world finally realized that home values were substantially overvalued and that bank stocks, which are highly leveraged to home values through the issuing of mortgages, tanked. As hedge funds, mutual funds, institutions and private investors etc. scrambled to cover losing bets by selling popular investments, all assets went down. In our opinion, all types of investors were racing to get "liquid" (raise cash) as investment margins and home values collapsed. In a dramatic change of events, investors sold assets and turned those assets into cash, causing the US dollar to rise in value. This can be seen in the charts below. 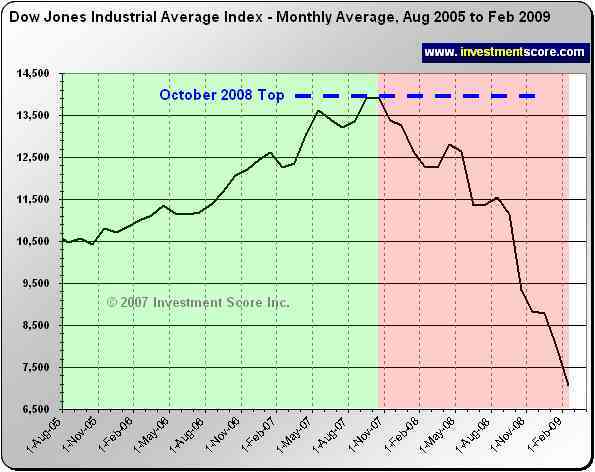 In the chart above, notice the dramatic spike in the US dollar index as investors liquidated their investments. At the same time, note the dramatic drop in various markets in the charts below. What markets currently have strong fundamentals and what markets have weak fundamentals? Do we believe paper currencies, which can be printed at will by governments (inflation), are a sound long term investment? We do not believe so. Because of this, are currencies likely to lose value relative to "things" long term? We believe so. Is the US consumer overextended with debt and are their spending patterns likely to continue to decline going forward? We believe so. Does the world still needs to eat food, drive cars, ship goods, store wealth etc.? Yes. Compared to historical bubble markets did the growth in commodities prices reach excessive bubble price levels on a percentage basis? We do not believe so. Is it possible the credit implosion for investors and institutions caused the commodities bull market to appear over when in reality it is still in progress? Possibly. Can we see evidence of this? Yes. 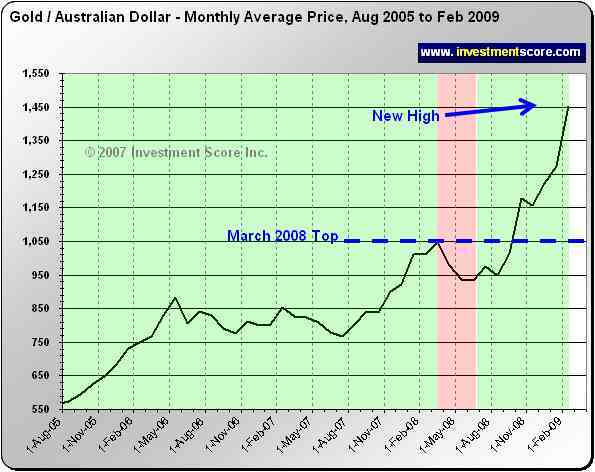 otice that when the value of gold is priced in other assets, not only did it recover; it actually rose from the spring 2008 drop. 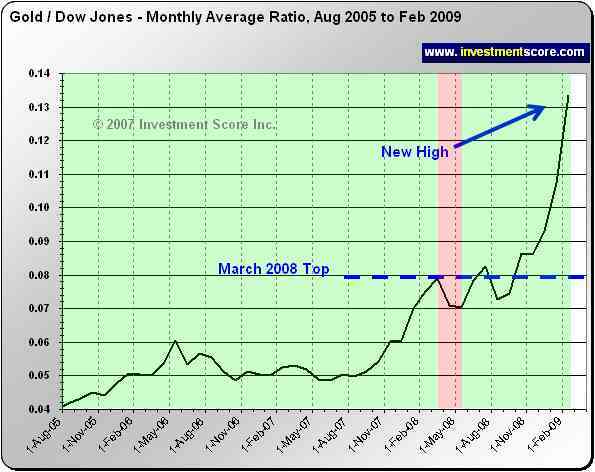 Relative to the Dow Jones, gold is becoming significantly more valuable as it requires a larger share of the Dow Jones to buy one ounce of gold. Making this direct market to market comparison helps us see how gold has performed relative to other markets rather than simply to the US dollar itself. In our opinion the commodities bubble has not popped because there was no bubble to begin with. Instead we believe the effects of the credit bubble caused the price of commodities to drop but the fundamentals not only remain strong; they have actually improved. 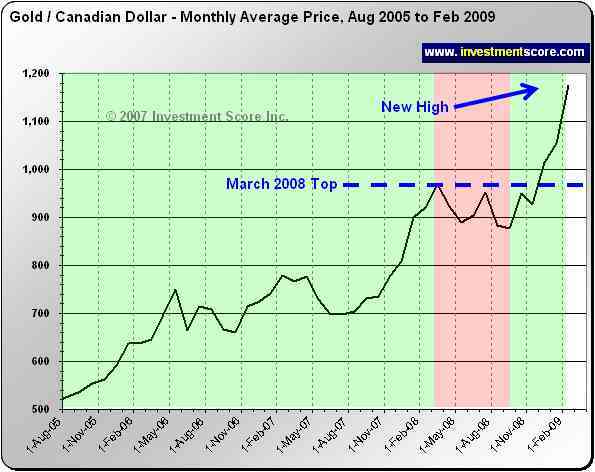 The above charts illustrate that the gold bull market is alive and well relative to other markets. In the short term we cannot tell you exactly what will happen in any given market. Market gyrations, short term fluctuations, random events, human emotions etc. all make it very difficult to guess where a market is headed in the short term. 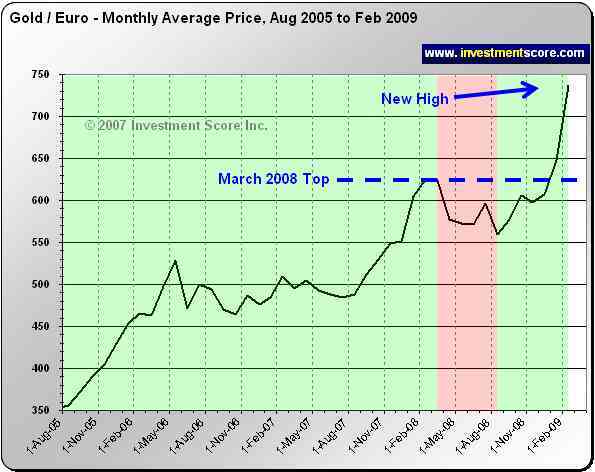 At investmentscore.com we try to bypass the distortions of the fluctuating measuring stick, the US dollar, and compare markets directly to one another instead. We try to use relative market comparisons to help us spot long term market trends. Commodities may have significantly fallen in "price" in 2008 but we believe they are still the relatively undervalued asset class with solid fundamentals. Whether it is in the coming months or years that commodities take off relative to US Dollars, we do believe that this market will continue to outperform other asset classes. If you enjoyed this analysis please feel free to pass along a link to this article and share it with your friends. 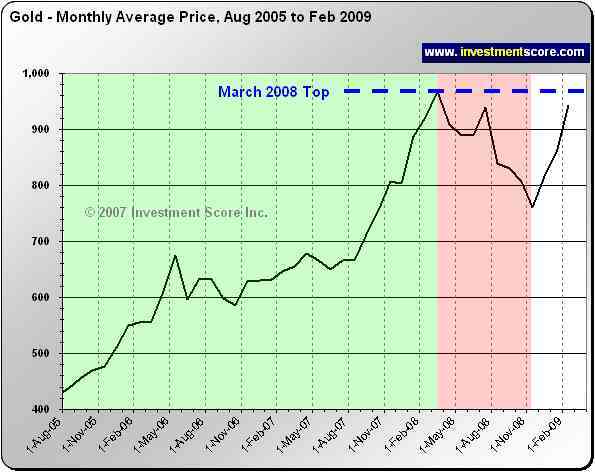 Also to learn more about our theories and strategy and to sign up for our free newsletter please visit us at www.investmentscore.com .